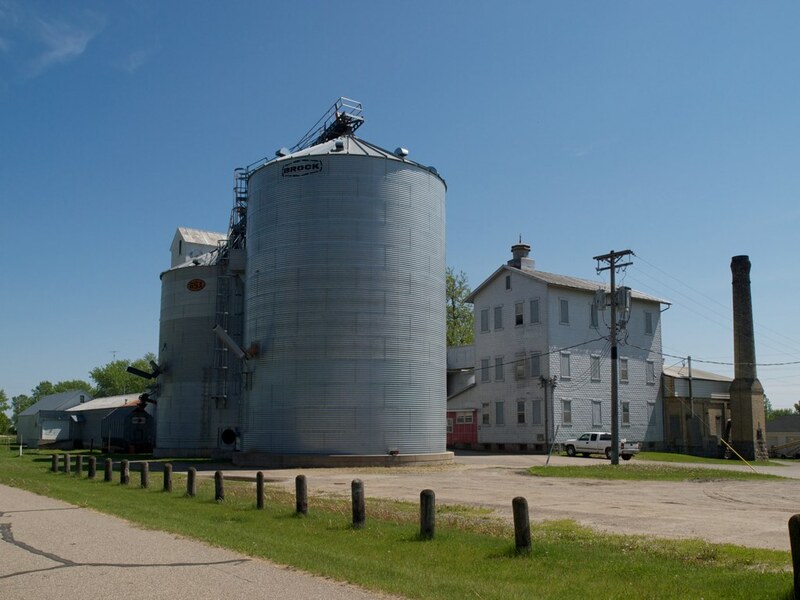 As I was scrolling through my regular glut of news items in Google Reader today, I noticed something about the Swany Flour Mill in Freeport, Minnesota. Freeport is about 15 miles down the road, west of Collegeville. Since I began school, I've traveled regularly to Freeport to have my truck serviced. As I looked closer at the news story, I learned with great dismay that that the Swany Four Mill had burned to the ground yesterday. I was just in Freeport about a week ago, and I found myself looking at the mill building and thinking to myself "I should photograph this place come spring." I really should have gotten around to it sooner. I'm not a Freeport resident, nor even a Minnesota native, but I realize how significant this landmark was, architecturally, historically, and as a thriving business in a rural community. I'm not sure what there is to do now - the building is gone, nothing is salvageable, and it will not reopen. I suppose for both the lifelong local and the casual passerby, there's nothing to do but remember and reminisce.